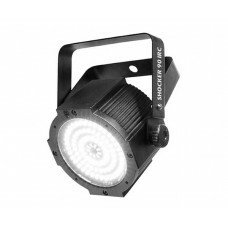 The Shocker 90 IRC is lightweight and little, and packs a brilliant, blinding white punch. 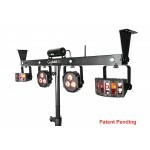 It is a blinder that strobes and has 4 zones of control for a range of effects and patterns. 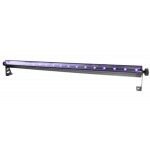 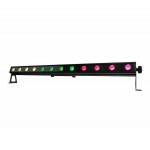 Its eye-catching, automated programs work with Master/Slave mode to create a strobing light show quickly and easily. 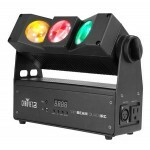 The Shocker 90 is controlled via the control panel or with the optional CHAUVET® IRC-6 wireless remote. 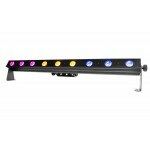 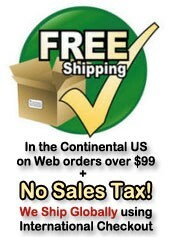 If you want even more flexibility use a CHAUVET® DMX controller! 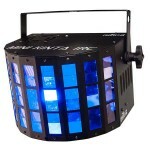 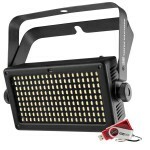 The Shocker 90 has a rugged die-cast housing and fits beautifully in the CHAUVET® CHS-25 VIP Gear Bag. 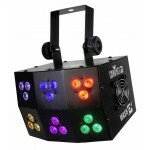 It is easy to carry, perfect for mobile DJs, and looks great in any rig.